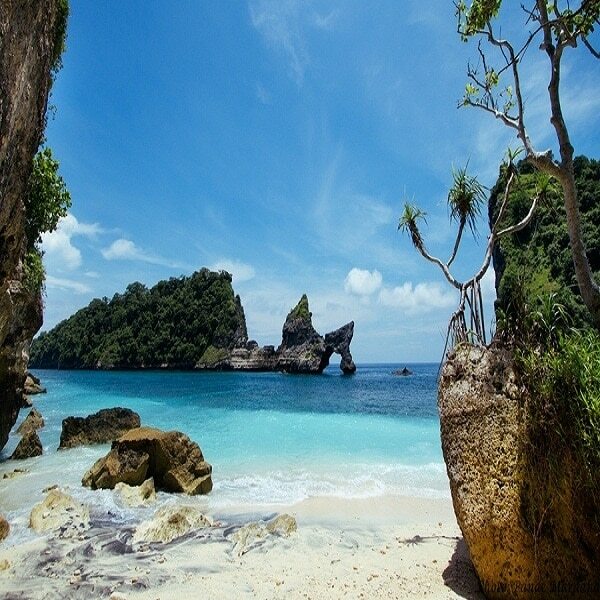 Atuh Beach Nusa Penida, or Pantai Atuh, is a hidden beach located on the southeast coast of the island of Nusa Penida. The beach is isolated from beautiful green cliffs, while several limestone rock formations surround it, adding beauty to the area. You can access the white-sand beach from a specially designed staircase or try the narrow paths along a steep cliff if you’re feeling adventurous. You will want to see the Atuh beach sunrise or the Atuh beach treehouse. Nusa Penida has some amazing places to visit like Peguyangan waterfall which is the best waterfall on the island. The beach is ideal for relaxing with spectacular views. However, the waters are not always conducive to swimming. If you are visiting Nusa Penida for atleast 1 night, then I would highly recommend visiting Nusa Penida. There is also plenty of sweet places to stay on Nusa Penida such as the Nusa Penida treehouse (Rumah Pohon). 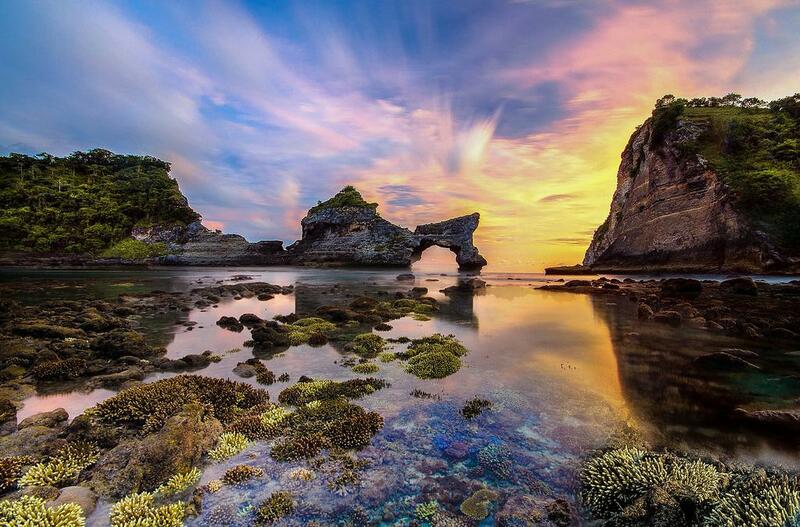 Nusa Penida is famous for someone of the most stunning things to see in Bali and probably the rest of the world. There is things like Kelingking secret point beach and the broken beach. The beach is isolated from beautiful green cliffs, while several limestone rock formations surround it, adding beauty to the area. There are four main rocky outcrops and islets on the coast of Atuh Beach Nusa Penida Bali. All this contributes to the breathtaking view. 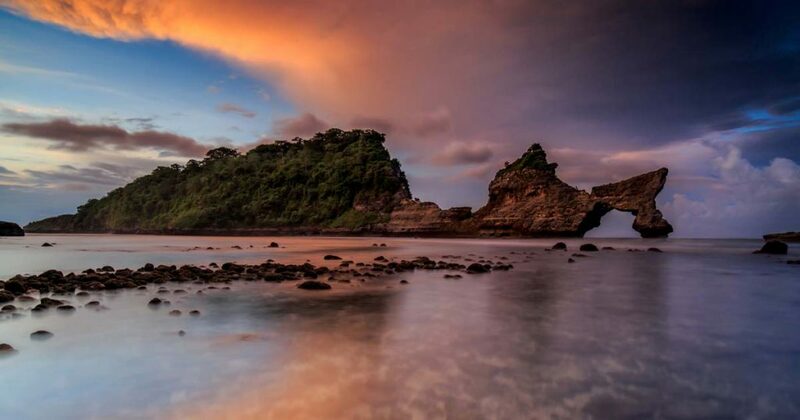 Named by locals like Melawang Batu, Batu Abah, Batu and Bukit Pavone Jineng, it is Bukit Jineng, also known as Batu Bolong or “hollow rock” is more evident with its arched shape. Because of its remote location, you probably have the beach for yourself for most of your visit. Low tides often reveal puddles rocks where you can see fish and marine life waiting to go to the next tide. Swimming in the Nusa Penida Atuh beach waves beyond rock pools is not recommended and there is no lifeguard. Local sellers sometimes sell drinks and sandwiches. 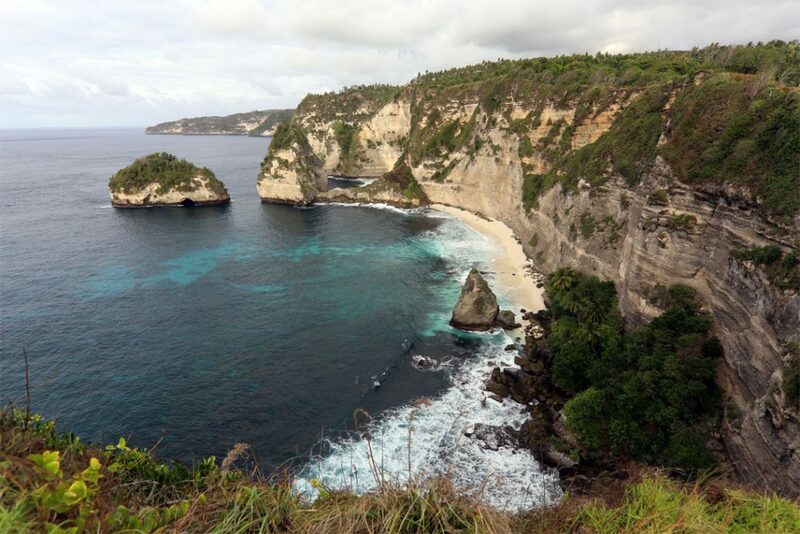 As the most isolated island of Nusa Penida beaches, it is best to go to Atuh Beach motorbike. It is a two-hour trip from the main port on the northwest coast of the island. The descent to the beach takes about half an hour and the view is worth it, especially if you are a beach lover. Among the beaches of Nusa Penida Treasure Island, Atuh Beach Bali takes place on one of the most beautiful beaches with spectacular views. The view is really a breath of fresh air. The green-blue ocean is well protected by the steep peaks of the mountains and the perfectly distributed strip of sand just waiting to be stepped on. 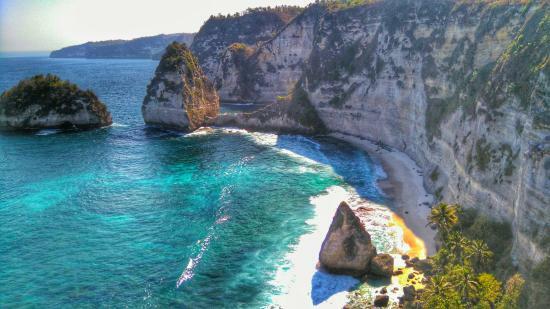 The Nusa Penida Atuh beach is also called “hidden beach” because it is very well protected from the cliffs, which makes it difficult to locate it. In addition to the usual beach activities, such as enjoying the of the sea breeze while searching in a book, you can also snorkel, dive or jump the cliff arch. 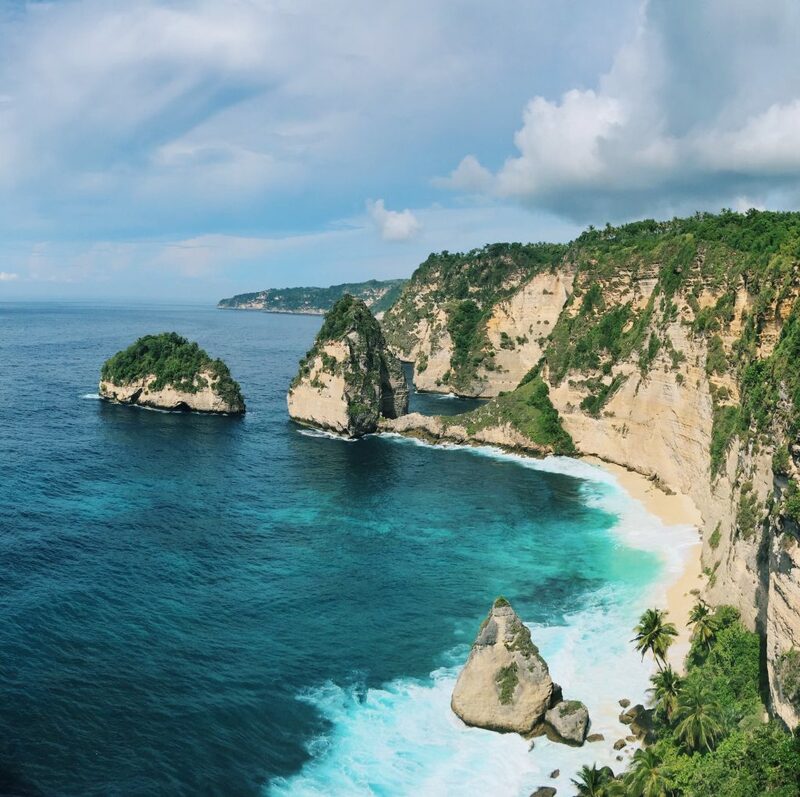 If you love amazing beaches you should definitely try and visit the broken beach nusa Penidawhich is one of the most stunning things to see on Nusa Penida. The Broken beach and Angels Billabong Nusa Penida are amazing. Atuh beach,Bali offers a mix of everything. You have crystal clear water, white sand, the incredible view from the top, a spectacular way to cross and a sort of harmony that you will not find anywhere else. This is definitely one of the best beaches on Nusa Penida. The Atuh beach cliff jump is one to check out if you’re feeling adventurous. 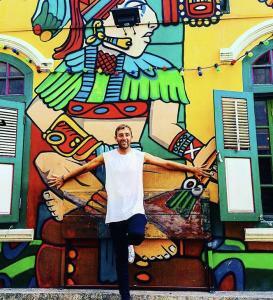 Be aware to jump with extreme caution if that’s what you’re attempting to do! Not everyone will be visiting here to jump. 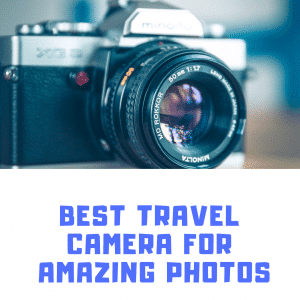 So you should take full advantage of the Instagram photo opportunities available. The scenery of the Atuh beach cliff is amazing. 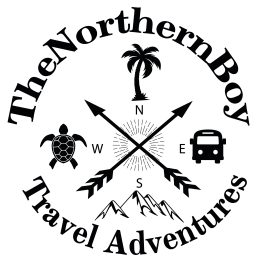 Getting from Bali to Nusa Penida – To get to the Crystal Bay beach you would first have to reach Nusa Penida which is in the southeast of Bali. One could easily get a fast boat from the several ports in mainland Bali such as the speedboat from Sanur to the Nusa Penida island. Also a regular speed boat can also be taken. These boats are easily available and go back and forth Bali, Nusa Penida and the islands surrounding Nusa Penida (Nusa Lembongan and Nusa Ceningan. The ticket for the boat costs IDR (175,000 which is US $12 per person). Atuh beach Bali is located on the east coast of the island of Nusa Penida, whose exact location or cumulative is located in the town of Pejukutan, Nusa Penida, Kelungkung regency, Bali, Indonesia. Atuh Beach is a relatively unknown place on the island of Nusa Penida, located south of Nusa Lembongan and on the mainland of Bali. Arriving at Atuh Beach, you have to go to Nusa Penida Island. You can take a fast boat from different continental ports of Bali. Regular motorboat services provide daily connections between Nusa Penida and Sanur in the south of Bali, and between Nusa Penida and Padang Bai Kusamba and east of Bali. If you stay in Nusa Lembongan or Nusa Ceningan, you can take a boat in front of the yellow bridge. In Sanur, the boats leave from the end of Jalan Hang Tuah to various destinations in Nusa Penida, according to the company. The ticket costs IDR 175,000 per person per trip. You can buy it at the dock and leave it at least once a day. The journey takes between 30 and 45 minutes, depending on the weather and the wave; In bad weather, travel can be difficult. There is a Padang Bai public boat in East Bali, and the cost is much cheaper than a fast boat, but it takes about 2 hours to get to the island. One ticket for the passenger ferry is IDR 31,000 per person per trip and can be purchased at 10:00 am within the building called “Loket”. From the port, you can rent bikes for 75 000 IDR per day, but be prepared for a bumpy road and many holes to avoid, which requires more energy. As long as you like riding a motorcycle and not being in a hurry, everything will be fine. After a half hour ride along the coastal road, you will get to the beach and you can start your adventure while parking at the cliff top. When you walk near the cliff, get ready for a walk on the beach. You will notice a concrete staircase built for the villagers who come to visit the nearby temple to worship the god of the sea. And now you’ll be on the pristine white sand beach Atuh, with the vast blue ocean in front of you waiting to be explored. Once on this top Bali you can Check out the best things to do Nusa Penida to make your trip a memorable one. This amazing beach is located in east Nusa Penida, this makes the Atuh beach sunrise amazing and the Atuh beach sunset. You can watch the sunrise over Atuh beach with breathtaking views. The Atuh beach hike on the stairs is a little tricky. So make sure to take your time and watch your step. Once on the beach you can grab yourself a beer off one of the local stands that also sell food as well. After watching the sunrise, you can make your way over to see Kelingking beach from Atuh beach. 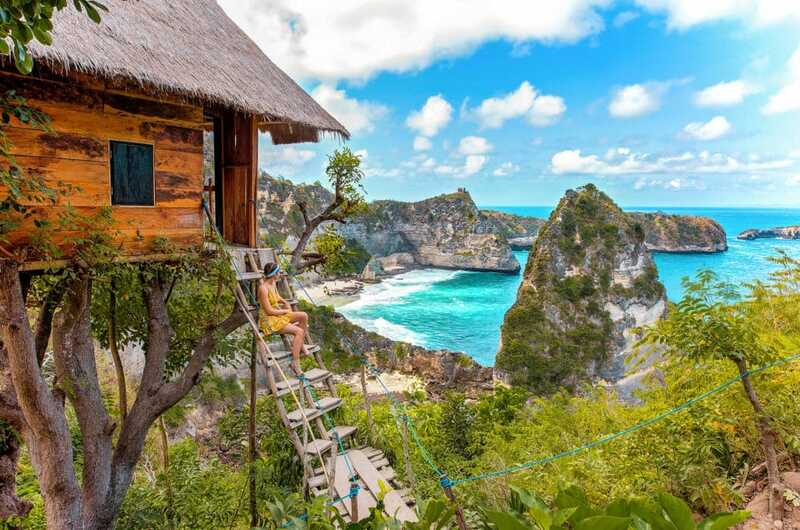 The Rumah Pohon treehouse on Nusa Penida has become one of the most most popular places to stay and has soon become a top tourist point on Nusa! You can actually rent the Ruma Pohon treehouse if you wanted the luxury place to yourself and to be fair it’s cheap. To find the treehouse you will have to make your way to the mountain at Thousand Island (Pulau Seribu) viewpoint which is near the amazing Atuh Beach. This epic place to stay on Nusa Penida has quickly grown its reputation amongst backpackers and travellers to Nusa Penida. Everyone wants that perfect Instagram photo of the Nusa Penida treehouse. It’s no wonder with the views you will get. At the moment there is no entrance fee required to the lookouts of Thousand Island Viewpoint at Atuh Beach, it just small amount of 5,000 IDR for parking. However to get the beach you have to pay an entrance of 10,000 IDR per person which collected by local villagers due to use a private land area. Best time to visit Atuh Beach Nusa Penida? The best time to visit Atuh Beach is in the morning, around 5:30 am, for sunrise due to the location of Atuh Beach facing east. That said, if you’re planning a good sunrise in Nusa Penida, then Atuh Beach, Molenteng Beach or Rumah Pohon Tree House and Thousand Island Lookout are arguably the best places in the East. On the beach, Atuh needs about an hour to take pictures. 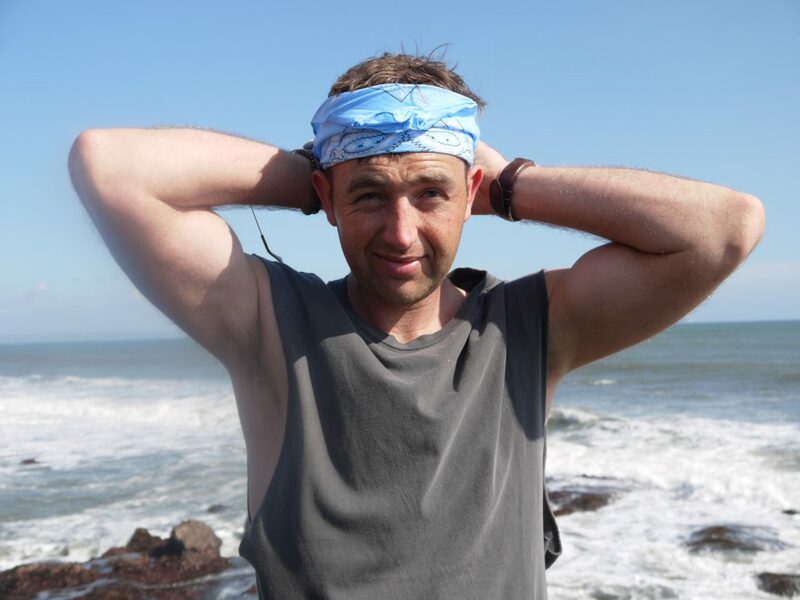 The views and nature are amazing and really a great place. 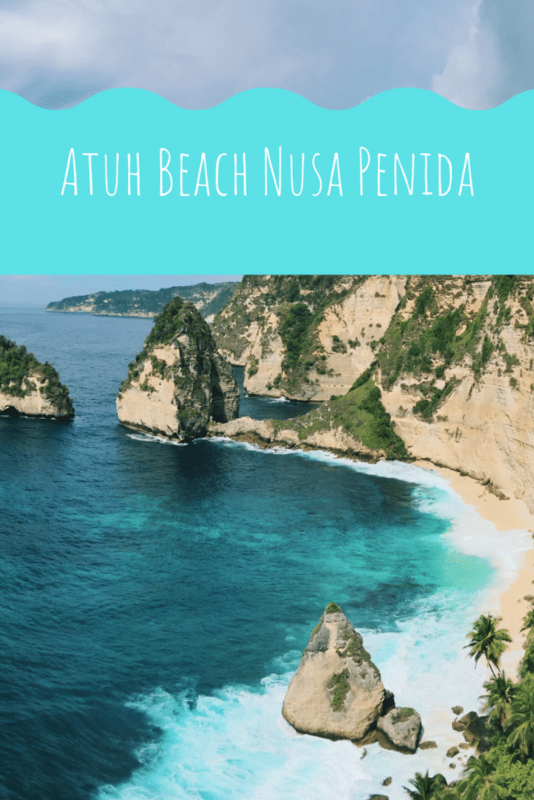 The Atuh beach Nusa penida is one of the best things you can do on Nusa Penida. The road is a little tricky getting to the beach, but it’s totally worth it. As you can see from the Atuh Beach Photos it is absolutely stunning. 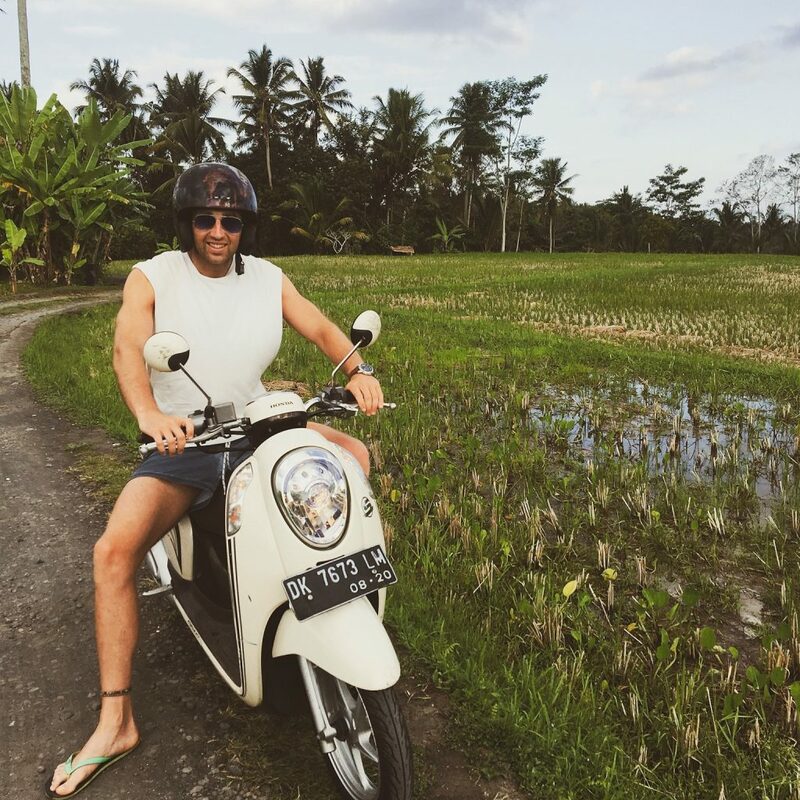 Everywhere on Nusa Penida is amazing, the island is my favourite places to visit in Bali. The food is mega and the accommodation on Penida is so cheap. You can get a private room on Nusa Penida for $10 a night.